Designing store front windows is a fun way to showoff products for the showroom, but also a competition to get your attention and want you to come in and see what else the store has to offer. This mirror is reflecting the entire window and make an wonderful collage. 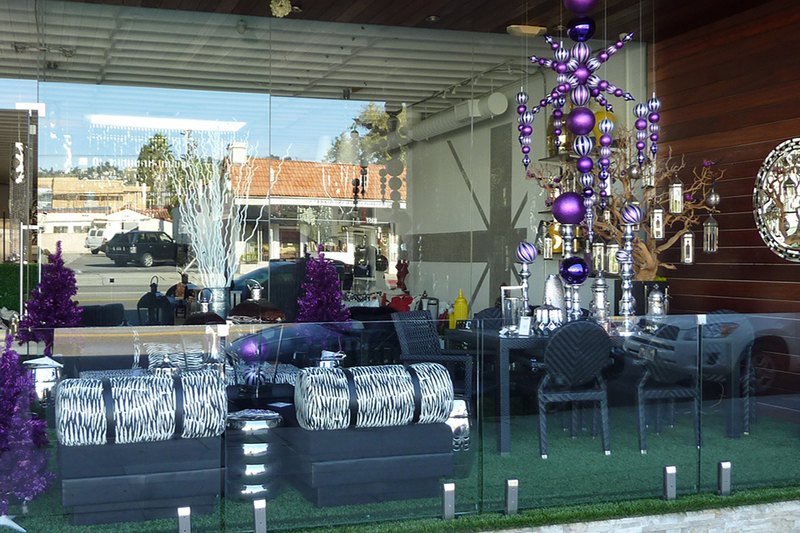 Oversized ornaments in silver and purple were the perfect compliment to the black and white zebra print of this outdoor furniture collection. What is even more fun, several customers wanted to buy the entire ornament collection.